The CN Group has redesigned its flagship monthly magazine Cumbria Life from the June issue and plans to unveil new designs for Dumfries and Galloway Life in July and Carlisle Living from the Sept/Oct issue. All three titles are being relaunched with new designs along with new content and columnists. 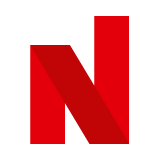 The titles' new look has been created by Matthew Ball Editorial Design based in Edinburgh. The company's other publishing design projects have included work on The Scotsman and Which? magazine. 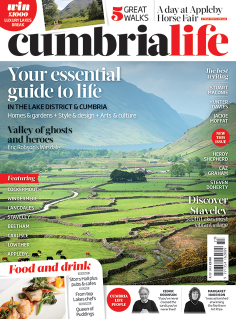 The new look July edition of Cumbria Life complete with a new logo and a new font will be available on news-stands and to subscribers tomorrow (Tuesday 25 June) following an 'official' relaunch party last Friday at Grasmere. The guest speaker was Kevin Roberts, Saatchi & Saatchi global CEO, who still maintains a home in Grasmere and is an occasional contributor to the magazine. Other more regular contributors include Dave ‘Hairy Bikers’ Myers, the author and broadcaster, Stuart Maconie and author Hunter Davies. Cumbria Life was launched as a quarterly title in the 1980s and subsequently became a bi-monthly until it went monthly in 2008 under a new editor Richard Eccles. Eccles was formerly the deputy editor of The Cumberland News and has been with the CN Group for almost 25 years. The title, which retails at £3.80 and has circa 5,000 subscribers claims to have a readership of around 60,000 a month. To coincide with the relaunch, CN is planning a number of new initiatives including a new limited period deal offering a 45% discount on the normal subscription rate. Eccles said: “We felt it was time to refresh the magazine and change perceptions about what a 'county life' magazine is about. We want to be essential reading and an essential guide for getting the most out of this amazing county and its unique combination of natural beauty and a vibrant contemporary culture of Michelin-starred restaurants and a thriving arts scene. "The challenge is to attract new younger readers while not putting off our traditional core, and from the first reactions to the new magazine I think we have pulled it off."